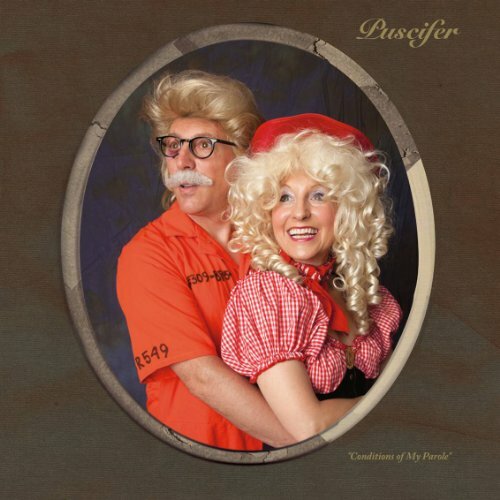 Puscifer – Conditions of My Parole | "I Prefer Their Old Stuff"
This year has, again, been very good for new music but until a couple of weeks ago, despite there having been some stellar releases I had no real candidate for my year end favourite, Mastodon’s new one was certainly a contender on first listen but this has waned a little on repeated listens. That’s not a criticism, it will likely still be in the top ten! Then Maynard James Keenan came along with the first single from his Puscifer side project’s new album. “Man Overboard” knocked me for six, as I said on last month’s highlights post I played it three times back to back the first time I heard it so to say I was interested in hearing the new album was understating the fact somewhat! Conditions of My Parole was released on Oct 18th but the website Spin.com were streaming it in full a week before that (the stream is gone now unfortunately otherwise I’d link it here) so as soon as I heard about that I dived right in. Since I heard “Man Overboard” I’d gone back to investigate the first album and realised I had listened to it before and wasn’t overly impressed, and on what turned out to be the second listen I still wasn’t. So although I was hoping the new album would be up to the quality of the lead single I wasn’t holding my breath. However I was in for a very pleasant surprise. Sounding completely unlike a new Tool album, completely unlike a new A Perfect Circle album and also sounding completely unlike the previous Puscifer album, Conditions of My Parole is a whole new prospect. Maynard has stated that this album was inspired by the desert it was recorded in, the outback surrounding his Northern Arizona vineyards (yes, Maynard produces his own wine!) and it has a much more expansive far less sleazy sound than their previous effort. As Maynard says, “You’ve got stories of ghosts and aliens, plus Republicans, Democrats, conservatives, liberals, vineyards, ranches, horses. It’s hostile territory: You’ve got scorpions, black widows, brown recluse, javelina, rattlesnakes… and hippies.” Ok, brown recluse? I also have no idea what a javelina is! The variety of the songs on this album have ensured that is still sounding fresh and interesting after a couple of weeks of solid listening, “Man Overboard” still has me punching the air when the huge drums come in! Ladies and Gentlemen, we may have a winner!! Despite the stream being taken down, it is on Spotify right here. This entry was posted on October 29, 2011, 12:11 pm and is filed under Music Reviews. You can follow any responses to this entry through RSS 2.0. You can leave a response, or trackback from your own site.